The famous song in the film musical, “The Sound of Music” is very relevant to me. The Von Trapp family sang it as they fled from Austria and Hitler. Venezuela is now singing Edelweiss under Hugo Chavez. I wonder if Brazil will have a samba version of Edelweiss? Or Argentina, a gaucho version? Cuba and Venezuela were prosperous before the coming of these dictators, who left the countries in shambles. What happened? and lethargic, not keen on the incoming evil, and failing to fast and pray. In another, the frivolity, ignorance, shallowness, and gullibility of society allowed it. In all these things the church must watch with the Spirit’s eyes. Ultimately, what must be discerned is what the devil does behind the scenes. Objectively it’s a fight between the kingdom of God and that of evil. Conclusively, the devil wants to blind people from God’s kingdom and send people to hell. The opium of the devil and his carnal minions is the ignorance and the passivity of societies in which they can maneuver. The devil is busily attempting to set up America for Edelweiss. He uses technology to create a society obsessed wth self-entertainment. Everywhere people are busily looking down at their I phones, I Pad, Pods, and Touches, but never looking up to the Great I Am. We are non-thinkers; frivolous, arrogant, naïve, gullible, and shallow. a perfect recipe for a dictatorial take over. I saw it in my country! The devil is nothing like this. Just the opposite, he is conspiratorial, serious, and scheming. We must have a bit of our own conspiratorial mindset to know what he is up to. Naivety and gullibility versus the master of conspiracy theory, the devil, is no match for him. We will be ensnared! After feeling from Cuba in the 1960’s my father told me; you will see Communism come into the American media, schools and politics. Castro’s takeover of Cuba ensued seamlessly in just a few years. It is obvious that the Communists had been in Cuba years before, planning for Castro’s entrance. In America, I see the beginnings of the same trends as those of Cuba. We need to have our eyes opened, and now, as the church of Jesus Christ. I do not want to sing the American Edelweiss. Austria and the Von Trapps were sure that they would neither. This is a brief account of Saul, a king of Israel. 1Sa 8:4 Then all the leaders of Israel gathered together and came to Samuel at Ramah. 1Sa 8:6 But Samuel considered it wrong for them to request a king to judge them. So Samuel prayed to the LORD. 1Sa 8:7 The LORD told Samuel, “Listen to everything the people are saying to you. They haven’t rejected you; they’ve rejected me. 1Sa 8:8 They’re doing just what they’ve done since I took them out of Egypt-leaving me and serving other gods. 1Sa 8:10 Then Samuel told the people who had asked him for a king everything the LORD had said. 1Sa 8:11 Samuel said, “These are the rights of a king: He will draft your sons, make them serve on his chariots and horses, and make them run ahead of his chariots. 1Sa 8:12 He will appoint them to be his officers over 1,000 or over 50 soldiers, to plow his ground and harvest his crops, and to make weapons and equipment for his chariots. 1Sa 8:13 He will take your daughters and have them make perfumes, cook, and bake. 1Sa 8:14 He will take the best of your fields, vineyards, and olive orchards and give them to his officials. 1Sa 8:15 He will take a tenth of your grain and wine and give it to his aids and officials. 1Sa 8:16 He will take your male and female slaves, your best cattle, and your donkeys for his own use. 1Sa 8:17 He will take a tenth of your flocks. In addition, you will be his servants. 1Sa 8:19 But the people refused to listen to Samuel. They said, “No, we want a king! 1Sa 8:21 When Samuel heard everything the people had to say, he reported it privately to the LORD. 1Sa 9:2 He had a son named Saul, a handsome, young man. No man in Israel was more handsome than Saul. He stood a head taller than everyone else. 1Sa 10:1 Samuel took a flask of olive oil, poured it on Saul’s head, kissed him, and said, “The LORD has anointed you to be ruler of his people Israel. You will rule his people and save them from all their enemies. This will be the sign that the LORD has anointed you to be ruler of his people. Israel rejected God as king and instead begged for a human king. The Lord answered them according to the desires of their flesh. This is so like God to give us what we want when we push Him away. Saul, God’s choice, was very handsome and taller than any other Israelite. He had charm, looks and brains. He was an excellent politician and would have been a savvy media junkie, by today’s standards. He had no respect for God but loved the acclaims of people. At the end, God rejected Saul and he died in battle against the Philistines. Charm, looks, and wit is always desired more than the glory of God. Human nature has not changed over thousands years. I guess that this debunks evolution! I see today’s America at a similar crossroads. Are we rejecting God, and desiring a Saul? Saul’s death was tragic. His two sons Hophni and Phineas were also killed. The ark of God , representing God’s presence, was taken away. Today, the ark, is the church. We cannot allow it to be taken away from America. If the church becomes non relevant to American society, the results will be disastrous. It’s up to the church, in a great part, what will happen to America. If the ark remains, God can work. 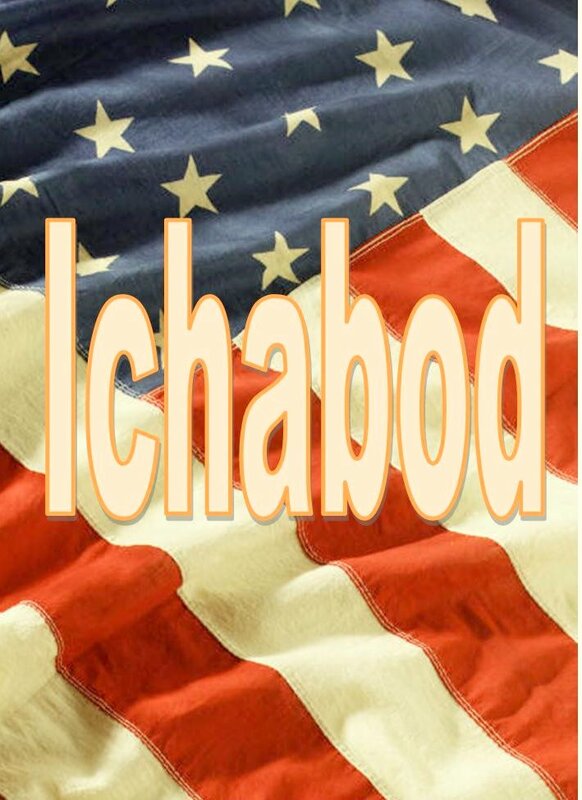 If America becomes an Ichabod, because the church allowed it, the way will be far more difficult. Jose getting ready to teach in a Maasai conference in Simba, Kenya. Christian transformation allows us get from God’s invisible inheritance and make it accessible and real in our earthly life. What does it mean “to become”? “To pass from one state to another; to enter into some state or condition, by a change from another state, or by assuming or receiving new properties or qualities, additional matter, or a new character. Then there are definitions from the Word Net Search Dictionary. To enter or assume a certain state or condition. To turn into something else. Take on a specific property or attribute. To undergo a change or development. The Christian has ALREADY BECOME many things that she was not before salvation. The challenge in Christian transformation is to “become” what The Word tells us that we already are. There needs to be revelation and then reckoning. This is the Strong’s Word # 3049, logizomai. “Logizomai” is defined as reckoning, counting, crediting, inheriting, or depositing something to ourselves. If we have $ 20.00 and we “logizomai” an additional $20.00, we now have $40.00. Because faith is a universal law, it always functions. The person always “logizomai,’ whether he know it or not. If he has a negative faith and credits negative things, he will get negative results. The Bible is our manual teaching us how to, and what to, logizomai. Ro 4:5 But to him that worketh not, but believeth on him that justifieth the ungodly, his faith is counted <3049> for righteousness. Ro 4:9 Cometh this blessedness then upon the circumcision only, or upon the uncircumcision also? for we say that faith was reckoned <3049> to Abraham for righteousness. The reckoning must continue until our earthly life demonstrates what the Lord says that we are authentically. When we have become what we truly are, we will be found living in resurrection power. The Lord’s resurrection is established as an upstanding of what was dead or fallen down. Resurrection life is the knowledge of existing in the ability of the power of God. Every area of our live is included. Nothing is fallen down or dead. Here are things that have already become. The challenge to reckon them and live in their actuality, authenticity, and reality, is ours, and not the Lord’s. I tell you once again; this is the crux of the renewal of the mind. Mt 6:10 Thy kingdom come. Thy will be done “BECOME” in earth, as it is in heaven. We must reckon, until the will of the Lord is what is naturally occurring on the earth. Mt 11:20 Then began he to upbraid the cities wherein most of his mighty works “BECAME “because they repented not: Signs and wonders become from your life. Mt 13:32 Which indeed is the least of all seeds: but when it is grown, it is the greatest among herbs, and becometh “BECOME “a tree, so that the birds of the air come and lodge in the branches thereof. Mt 15:28 Then Jesus answered and said unto her, O woman, great is thy faith: be it “BECOME “unto thee even as thou wilt. And her daughter was made whole from that very hour. Mt 17:2 And was transfigured before them: and his face did shine as the sun, and his raiment was “BECAME “white as the light. Mt 21:21 Jesus answered and said unto them, Verily I say unto you, If ye have faith, and doubt not, ye shall not only do this which is done to the fig tree, but also if ye shall say unto this mountain, Be thou removed, and be thou cast into the sea; it shall be done “BECOME”. not any thing made “BECAME “<1096> that was made “BECAME “<1096>. Joh 1:10 He was in the world, and the world was made “BECAME “by him, and the world knew him not. Joh 5:4 For an angel went down at a certain season into the pool, and troubled the water: whosoever then first after the troubling of the water stepped in was made “BECAME “whole of whatsoever disease he had. Joh 5:6 When Jesus saw him lie, and knew that he had been now a long time in that case, he saith unto him, Wilt thou be made “BECOME “whole? Joh 5:9 And immediately the man was made “BECAME “whole, and took up his bed, and walked: and on the same day was the sabbath. Joh 8:58 Jesus said unto them, Verily, verily, I say unto you, Before Abraham was “BECOME”, I am. Joh 15:7 If ye abide in me, and my words abide in you, ye shall ask what ye will, and it shall be done “BECOME” unto you. Ac 21:14 And when he would not be persuaded, we ceased, saying, The will of the Lord be done “BECOME”. Ro 7:4 Wherefore, my brethren, ye also are become dead to the law by the body of Christ; that ye should be married “BECOME “to another, even to him who is raised from the dead, that we should bring forth fruit unto God. 2Co 5:17 Therefore if any man be in Christ, he is a new creature: old things are passed away; behold, all things are “BECOME” new. 2Co 5:21 For he hath made him to be sin for us, who knew no sin; that we might be made “BECOME” the righteousness of God in him. Php 3:21 Who shall change our vile body, that it may be “BECOME “fashioned like unto his glorious body, according to the working whereby he is able even to subdue all things unto himself. Heb 11:7 By faith Noah, being warned of God of things not seen as yet, moved with fear, prepared an ark to the saving of his house; by the which he condemned the world, and “became” heir of the righteousness which is by faith. Re 4:1 After this I looked, and, behold, a door was opened in heaven: and the first voice which I heard was as it were of a trumpet talking with me; which said, Come up hither, and I will shew thee things which must be “BECOME” hereafter. Re 4:2 And immediately I was “BECOME “in the spirit: and, behold, a throne was set in heaven, and one sat on the throne. Re 8:1 And when he had opened the seventh seal, there was “BECOME “silence in heaven about the space of half an hour. Re 8:5 And the angel took the censer, and filled it with fire of the altar, and cast it into the earth: and there were “BECOME “voices, and thunderings, and lightnings, and an earthquake. Re 12:10 And I heard a loud voice saying in heaven, Now is come “BECOME” salvation, and strength, and the kingdom of our God, and the power of his Christ: for the accuser of our brethren is cast down, which accused them before our God day and night. Re 21:6 And he said unto me, It is done “BECOME “I am Alpha and Omega, the beginning and the end. I will give unto him that is athirst of the fountain of the water of life freely. Re 22:6 And he said unto me, These sayings are faithful and true: and the Lord God of the holy prophets sent his angel to shew unto his servants the things which must shortly be done “BECOME”. Blaspheme VS Repentance: Which One Do you Choose? 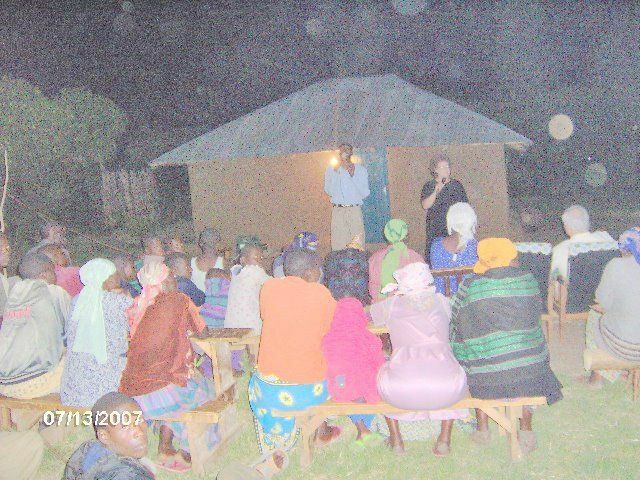 Mary preaching in an evangelistic meeting in Aram, Kenya. There is no electricity; the PA system ran by a generator. These scriptures are always bothersome to me. It shows me that at the end of days, when trials become so terrible, men will rather curse God and go to hell, than to repent and be saved, loved, and healed by Him. I sound a “Big Beware” to those who hear me, that your hearts won’t be so hard that you will end up like one of these folks. The key under trial is to always turn to God for help and mercy. Re 16:9 And men were scorched with great heat, and blasphemed <987> the name of God, which hath power over these plagues: and they repented not to give him glory. Re 16:11 And blasphemed <987> the God of heaven because of their pains and their sores, and repented not of their deeds. Re 16:21 And there fell upon men a great hail out of heaven, every stone about the weight of a talent: and men blasphemed <987> God because of the plague of the hail; for the plague thereof was exceeding great. This is not just a Doral Vineyard Meeting. It is a meeting which is opened to all in South Florida. What began as a healing meeting has taken off to become a weekly outpouring revival meeting filled with the power and glory of the Lord, healing and prophecy. These meetings are attended weekly by folks from a number of South Florida churches. We see many healings. displays of the power of God, signs and wonders and many words of prophecy. The meeting times are 7:30 PM every Thursday. We realize that the Body of Christ has a hunger to learn the grammatical basics of the original Biblical languages of Greek and Hebrew. Jose Alvarez has been studying the Word of God in the Greek and Hebrew for the twenty-one years. Once that a believer gets a taste of delving into the Hebrew and Greek Word Studies he or she will never want to just study in the English. Secondly, the revelation knowledge which the Lord imparts to the believer from the original languages is a hundredfold what he or she will ever experience from the English. Finally, it’s the knowledge of the Word of God, not the Word, which sets the believer free. Delving into the original languages magnifies the liberty of the Lord which the believer experiences in his or her life. Finally, on the Internet, there are a few excellent and free Biblical programs which will help you immensely in your understanding and studying of the Greek and Hebrew. We will teach you how to download and utilize these free tools. Jose and Mary can now set up an evening of teaching for you and your friends where you will learn the fundamentals of Biblical Greek and Hebrew grammar and a basic knowledge of how to download and use the excellent and free Biblical tools. Generally it is pretty simple. You invite your church friends to your home. Right now our available nights are on Wednesday and Saturdays. We encourage people to bring their lap tops if your home is Wi Fi ready. Also please bring plenty of paper and writing utensils. The time of 7:00 PM seems to work well. Mary and I will come to your home or church about 15 minutes before that. We don’t finish late so you can go to church on Sundays and to your jobs on Thursdays. The time can be altered to fit the needs of your home or church. All that is really needed in terms of beverages is bottled water. At this type of meeting, coffee and food is not advised because it time-consuming, distracting, and a burden on the host. An offering to be taken up by the inviting host is suggested. We also give out some of our business cards for those who would want to contact us. That is about it. God really moves in many wonderful ways and everybody gets touched. Please contact us if you are interested in hosting a South Florida Biblical Hebrew and Greek grammar meeting at your home or church. The Lord has called Mary and me to do weekend healing meetings in the power of Jesus Christ throughout South Florida homes, bible studies, and churches. We are doing this through our regular ministry, Safari Through the Word. We feel that these meetings will help spur the revival fire which God is beginning to fan out through South Florida. 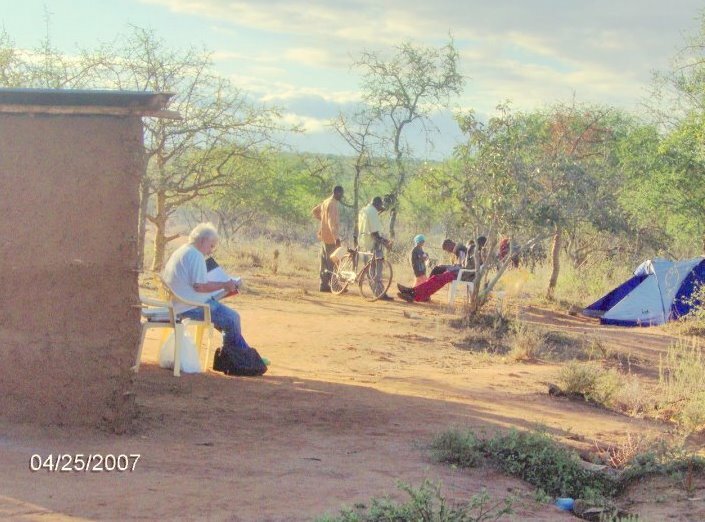 We have been in the healing ministry for a number of years including several in East Africa. We still have our regular healing meetings at Doral Vineyard Church every Thursday at 7:30 PM. These weekend meetings are more geared towards people who might not be able to go to church, or simply do not come to church. We had our first one last Saturday at a Doral Gardens Condo. It was very powerful. You invite your friends, saved, or unsaved, who would want to receive ministry, prayer for healing, or prophecy. These meetings are totally led by the Holy Spirit. The time of 7:00 PM seems to work well. Mary and I will come to your home or church about 15 minutes before that. We don’t finish late so that people can go to church on Sunday. The time can be altered to fit the needs of your home or church. All that is really needed in terms of beverages is bottled water. At this type of meeting, coffee and food is not advised because it is time-consuming, distracting, and a burden on the host. A CD player with some worship CD’s is always an important factor. If you feel led to take up an offering for our ministry that is up to you. We suggest it and it is always appreciated. Please contact us if you are interested in hosting a healing meeting at your home or Bible study.